DO YOU KNOW HOW YOUR THOUGHTS INFLUENCE YOUR WEIGHT LOSS PROCESS? You build your thoughts and your brain and your body reacts to that construction. Some unconscious “thing” does not “want” and “does not” allow you to reach your conscious goals. If the problem is not identified and solved, you will continue like this for years and years – until one day you suffer from obesity. Is this what you want? The solution may be in a psychological treatment complementary to the medical – nutritional treatment. If you don’t understand that you need this kind of treatment, you will be hostage to obesity. The “invisible enemy” will always be around, much stronger than you think. On the other hand once identified and treated, loses strength. Remember: every time there is a conflict between the conscious mind (wanting to lose weight) and the unconscious mind (resistance to losing weight), the unconscious mind wins. Hypnotherapy helps you modify your thoughts and create new, more positive neural networks for any desired change process. With sessions of psychotherapy and hypnosis it is possible to reduce anxiety and compulsions, thus reducing the desire to eat, and the numbers of the scale. 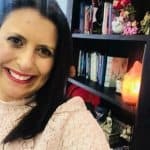 Among the main benefits of hypnotherapy is the ability to learn to differentiate emotional hunger from physical hunger, to change the way you think about eating, to change self-destructive thoughts and beliefs, to sustain new eating habits and to motivate you to practice physical exercise. The result with the hypnotherapy treatment is reduced hunger, satiety with less food, motivation to exercise, and choices for healthy foods. You can always reach me if you want to know more. Hello to every single one, it’s really a good for me to pay a quick visit this web site, it includes precious Information. This web site certainly has all the information I needed about this subject and didn?t know who to ask. of the comments appear like they are coming from brain dead individuals? perfect, the subject matter is rattling superb :D.
found this web page as a finest website for most up-to-date updates. This internet site is my aspiration, rattling fantastic style and design and Perfect articles. Hello, I just wanted to give you a quick heads up. Wonderful blog! Here is a great Weblog You might Discover Intriguing that we encourage you to visit. Extremely helpful information particularly the ultimate phase 🙂 I maintain such information much.